COREgravel is a new gravel system for driveways. Honeycomb trays stabilise the loose gravel so that it does not rut or sink. Additionally a fabric on the back on the honeycomb tray prevents weed growth. • Fully SUDS compliant porous surface - so no need for planning permission. • Very strong and long lasting – your finished drive will take the weight of a truck not just a car! • Easy to extend and change. • ADA compliant - ideal for pedestrians, bicycles, & wheelchair traffic. You can pull a wheelie bin over it easily. • Great for security because of the “crunch” of a gravel drive. • Very cost effective – Cheaper than tarmac and typically half the price of block paving or resin bound gravel. All good reasons why COREgravel is by far our most popular driveway solution.  Creative Gardens and Driveways are based in Cheshire and have many examples of new driveways for you to view - organise a free driveway consultation today on 0161 439 4858.